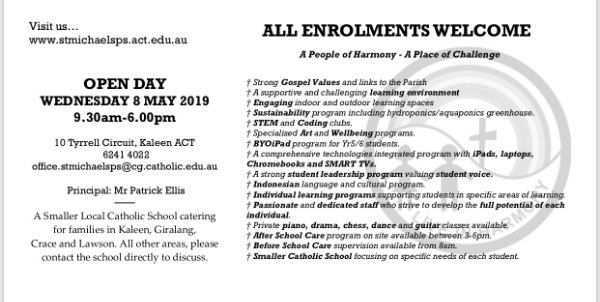 We are an small Catholic Primary School catering for families in Kaleen, Giralang, Crace and Lawson. compassion, kindness and forgiveness inspired by the life and teachings of Jesus. Taking stewardship of God’s creation to ensure its preservation.